The Eritrea flag is one of the youngest flags in East Africa. 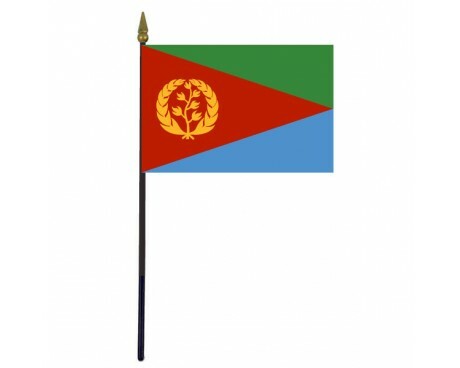 The modern flag is a clear reflection of the nation's history, since it combines the original flag of Eritrea with the flag of the Eritrean People's Liberation Front, a political organization that played a significant role in securing the country's independence. The current flag of Eritrea features a red triangle that stretches out from the hoist to the fly and two triangle that stretch out above and below it from the fly to the hoist. The upper of those triangle is green, while the lower triangle is light blue. A golden wreath surrounds an olive branch in the center of the red triangle. 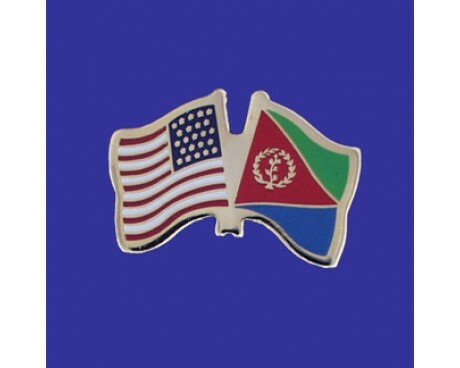 The Eritrea flag is an adaptation of the flag of the Eritrean People's Liberation Front, which demonstrates that group's importance in the nation's history. The three triangles are taken from that flag, but the the wreath and olive branch came from the country's original flag in honor of the country's history. The wreath is a symbol of peace, while the red triangle represents the blood that was shed during the nation's fight for independence. The green triangle represents the nation's agricultural wealth, while the blue stands for the sea that gave the country its name. 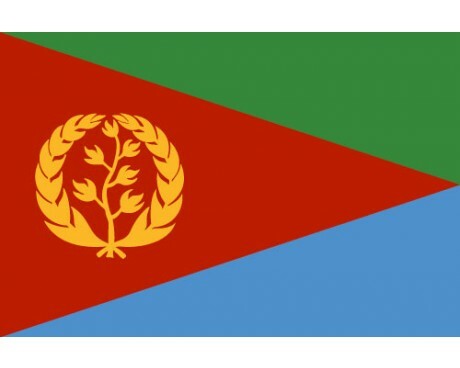 Eritrea gained its first flag in 1952, but it was not an independent nation at the time. It was an autonomous region within Ethiopia, and it used that flag until it became fully independent. The 1952 flag had a light blue field and featured a green wreath and branch in the center. The wreath was chosen as a symbol of peace, while the light blue field was selected to honor the United Nations for the part it played in securing independence from European rule for Ethiopia and Eritrea. Eritrea secured its independence from Ethiopia in 1993 and adopted a precursor to the current flag during that year. The 1993 flag followed the same design as the current flag, but it was displayed in a 2:3 proportion rather than the 1:2 proportion that characterizes the current flag. 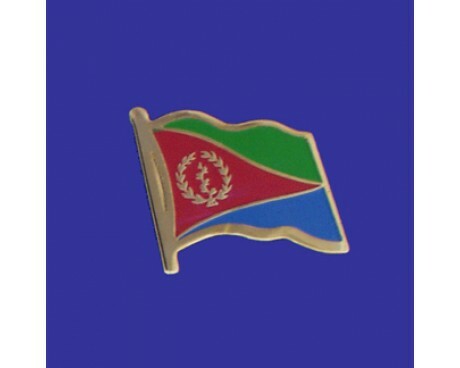 The flag's proportions were adjusted to create the modern flag of Eritrea in 1995.